It’s time to set your new goals with the beginning of the New Year. As your encouraging partner, AXA has prepared you all-round protection such that you could focus on attaining your goals hassle-free. 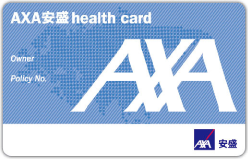 What’s more, you can enroll in the AXA “New Year Red Packet” Programme to enjoy instant premium discount! 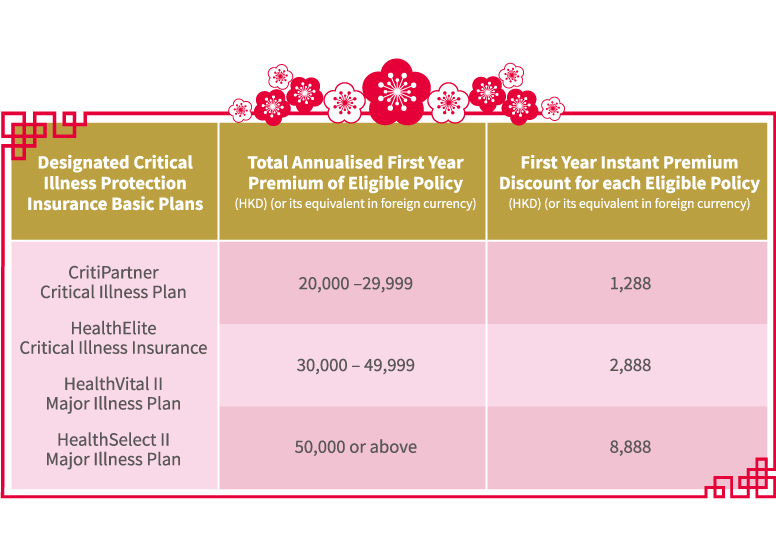 From 1 January 2019 to 22 February 2019, if you successfully apply for any new designated critical illness protection insurance basic plan¹ with a total annualised first year premium² of such basic plan and its supplements (if applicable) of an amount meeting the below requirements, you may enjoy an instant premium discount³ of up to HKD8,888 on each Eligible Policy⁴. Act now and have a prosperous start of the year! ¹ For product details of the designated critical illness protection insurance basic plans and its supplements (if applicable), please refer to the relevant proposals, product brochures and policy contracts. ² The calculation of the applicable total annualised first year premium of such designated critical illness protection insurance basic plan and its supplements (if applicable) does not include the premium of the Smart Medimoney–First Year $1 Supplement of Smart Medical Insurance. ³ The Premium Discount is only applicable to the premium of the first policy year and annual payment mode must be selected in order to be eligible for the Premium Discount. ⁴ For details of the Promotion, please refer to the relevant terms and conditions stated in this leaflet.